Those of you who regularly read this blog (Thanks to you both.) may remember that I once wrote of a whisky tasting experience. (See http://www.thegrambler.com/2015/11/week-16-whisky-tasting-grambler-way.html.) You may recall that I got rather tipsy at the event... and I lost my pen as well... It was a good one too. Any road up, it occurred to me that, while these whisky tasting extravaganzas are a good chance to try a lot of different drams, it is not the nicest environment to be tasting and testing. Basically, the venue is just a big warehouse with some tables set up. There are also very few chairs to allow anyone to rest their weary legs. The worst aspect of the proceedings is there are just too many people attending. You can’t blame the organisers for selling as many tickets as they are able, but it does mean that most of the time is spent queueing. It’s a bit like being at Disneyland and having to queue for every ride. The difference is that at the end of your wait you get a wee drink rather than being flung hundreds of feet in the air on a rollercoaster. There is, however, a similarity: overindulge in either and you are likely to end up vomiting. There is an alternative... to the whisky tasting... not Disneyland. That alternative is to host your own whisky tasting night. How does that work then, I hear you ask. 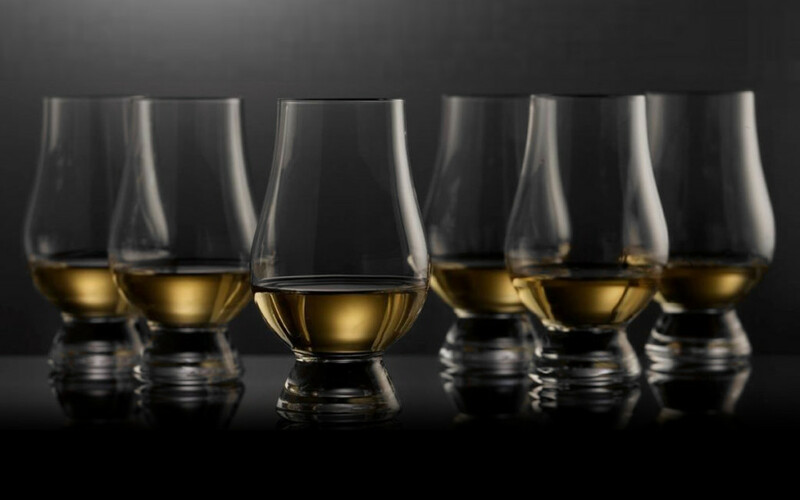 Here is The Grambler’s guide to hosting your very own whisky tasting evening. Firstly, you have to keep the invites to a manageable level. Don’t have dozens of people turning up at your door. Not a good idea, especially if your house/flat has only got one toilet. Invite four or five friends who like decent whiskies; that’s a nice target. Now, the big tasting events cost about 35 quids for the chance to try out dozens of types of whisky. Obviously, you can’t go charging your mates 35 quids to visit you and drink whisky. Not if you want them to remain your mates. So, rather than charge a fee, get each to bring along a couple of favourite whiskies. They just have to ensure that there is enough in each bottle to give all of the ‘attendees’ a nip. Any road up, back to the whisky tasting. Another requisite at such an event is food. Ensure that there is plenty of food so that nobody is drinking on an empty stomach. Pie and beans, oatcakes and shortbread are my recommendations. I recently held such an event and, I have to say [Have you? - Ed. ], that it went rather well... Up to a point. Let me explain. It all started out well. The guys arriving had two bottles of rather nice malt whiskies. One guy actually brought six, but, since the request was for only two bottles, I asked him to select his favourite two. I was the barman. I gave every person a glass and filled each with a small measure of the first whisky to be sampled. The guys all gave their opinion of it... some liked it, others weren’t so keen. Between that and the next sample, there were oatcakes to nibble and water to drink. So it went on through the evening. After half a dozen tastings, I served up pie and beans which, after a few whiskies, makes a terrific snack. After that, we resumed knocking back... sorry, sampling the whiggies, I mean whiskies. I wasn’t so particular about the measures by now, so they were getting a bit lager... not lager... I meant larger. Then, somebody else started pourin’ ’em and they din even use a measure. I mean. Thass jus askin’ for trouble, innit? An’ after a why... after a while... we’d finished our ten, or was it twelve, diffren whizzies. But, ’member, someone had brought more boddles... Well, it would be rude not to try ’em and the night was still young... It was only about... I dunno. Wazzun late, yet. So, we had another cubbla nips. Then I relized I had more in a cupboard somewhere... So I got a couple of boddles out... an’ we had a frew more. An’... then what happened? I don’t know. I might have gone to sleep. Everyone told me afterwards what a great night it had been. I have to agree, it was a great success. If I could make one further suggestion on how to run a successful whisky tasting, it would be make sure that the measures are tiny. I mean really really tiny. Shouldn’t be too difficult. Just pretend you’re in that pub in England. * Apology. I have just checked and the standard measure of spirit in England is actually 25ml, as in Scotland, which rather spoils my parting comment there. Were any famous or notorious people born on the 19th of August? Of course. Here are some I’ve even heard of. John Dryden 1631 (Poet. The first poet laureate don’t cha know. ), Orville Wright 1871 (Fly guy. ), Coco Chanel 1883 (Clown. ), Ogden Nash 1902 (Married to Hilda in Corrie. ), Maurice Wilks 1904 (Owner of the pub in Emmerdale. ), Gene Roddenberry 1921 (He boldly went... etc. ), Bernard Levin 1928 (The most famous journalist of his day... according to the Times, for which he worked. ), Frank McCourt 1930 (Wrote Angela’s Ashes, supposedly an account of his childhood which was denounced by McCourt’s own mother as ‘a pack of lies’. ), Bill Shoemaker 1931 (Horse racey bloke. ), Debra Paget 1933 (Elvis’s bird in Love Me Tender. ), Richard Ingrams 1937 (Co-founder of Private Eye and founder of The Oldie. ), Jill St. John 1940 (Tiffany Case in Diamonds Are Forever. ), Ian Gillan 1945 (Singer from off of Deep Purple. Time for a clip methinks. What should it be, I thought. Smoke on the Water, every would-be guitarist’s first ‘riff’? Black Night with its meaningful lyrics? No. Let’s have a bit of rock meets classical. Ladeez and genullum, I give you Concerto for group and orchestra. ), Bill Clinton 1946 (Hillary’s man. ), Christy O’Connor Jnr 1948 (Golfy bloke. ), Jennie Bond 1950 (Nicholas Witchell’s mum. ), John Deacon 1951 (Bassist from off of Queen. Another clip vicar? Here’s one that he wrote. Not surprisingly, it has a rather good bass line. I’ll give you a clue; it’s very popular at funerals. ), Jonathan Coe 1961 (Orfer. ), Darius Campbell aka Darius Danesh aka Darius 1980 (Popstar to opera star.) and Simon Bird 1984 (An Inbetweener who likes his Friday night dinners.). Over here in the owld country we like to listen to a bit of Queen. Your man Freddie Mercury was a great singer. I remember back in 1984 they had a few big hits. One of them even got to number one here in Ireland, though I’m thinking it only got to number two in the UK. I can’t for the life of me mind the name of it. Can you help us out? Wean Rooney found space in the area to head a Dominic Calvert-Lewin cross past Stoke goalkeeper Jack Butland in what was the Toffees' best move of the match. Calvert-Lewin also went close for the home side as Stoke struggled to break Everton down. Xherdan Shaqiri's (No, I don’t know how to pronounce it.) long-range effort did force Everton goalkeeper Jordan Pickford into a fine save in stoppage-time, with the 23-year-old leaping across his line to tip wide. John Egan headed the Bees in front early on before Andreas Bouchalakis levelled. Daryl Murphy then put Forest ahead to give them the lead at half-time. Bouchalakis got his second just after the break, Andreas Bjelland headed one back before Kieran Dowell got Forest's fourth and Neal Maupay claimed a late third goal for the Bees. Abel Hernandez scored a hat-trick as Hull City won for the first time under new manager Leonid Slutsky. The Uruguayan opened the scoring at the KCOM Stadium after four minutes, before Jackson Irvine equalised for Albion. But he saw red for a second yellow card and two goals in three second-half minutes from Kamil Grosicki and Hernandez put Hull back in front. QPR forward Jamie Mackie scored from a tough angle, but Owls sub Sam Winnall drilled home in his first match this term from Barry Bannan's cross to pull the hosts level. Late on, Kazenga LuaLua had a superb chance to give Rangers victory, but he fired wide when one-on-one. Middlesbrough’s goal came when Rudy Gestede looped the ball over goalkeeper Jamal Blackman after the Blades had failed to clear Patrick Bamford's lofted pass into the penalty area. Gestede hit the post with another header before half-time. Sheffield United had a goal disallowed in stoppage time. Jack O'Connell was adjudged to be offside when Dael Fry nodded a free-kick into his own net. Ho hum. What has The Grambler randomly...blah blah blah... You know the routine by now. All games kick off at 3pm on Saturday the 19th of August. A bit more whopping than last week. Teaser time. Yay! Last week I asked you what unusual ‘double’ Shrewsbury Town won in 1978-79. They won the Third Division Championship and they also won the Welsh Cup. Hang on a mo, I hear you ask... Welsh Cup? Shrewsbury? In Shropshire? The one in England? I know, I know. Listen, I don’t make the rules. Nine miles from the Welsh border obviously makes them Welsh. A bit. Because, even though they won the cup, they were not permitted to take the allotted place in the European Cup-winners’ Cup. Oh, I see. They are only Welsh when it suits, is that it? I like to think of them as Wales’ answer to the well known ‘Scottish’ side Berwick Rangers. One for this week? Here’s an interesting one in these days of English teams featuring not one English player... Which was the last club to win the FA Cup with 11 English players in its starting line-up? And finally, Cyril? And finally Esther, I am indebted to a Mr D. Neilson. Who? He is an ectaw. And? He plays the part of Roy Cropper, a character in Coronation Street. And? Did you enjoy the Deep Purple album? Concerto for group and orchestra? I hope so. It, apparently, is the favourite album of Mr Cropper, a fictional character. Don’t believe me? Click here.